After years of resistance, the team at Within finally relented to the multitude of requests from their customers and made their optimisation software, Autodesk Within commercially available! Lightweight - have a favourable volume reduction coefficient through the use of lattice and skin elements. Robust - able to meet defined load requirements. Flexible - have a known displacement that can be tuned. Truly Functional - based on various design features including lattice topology, lattice unit size, variable density lattice and skins, and smooth meshing. 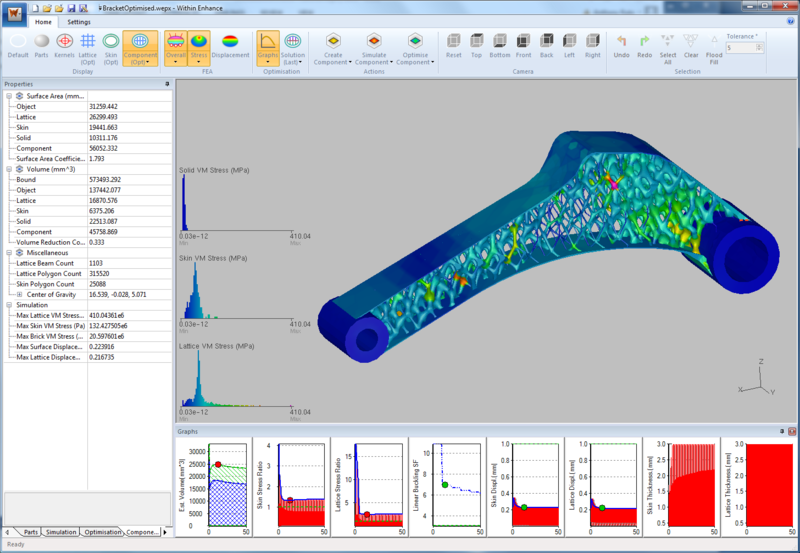 Autodesk Within features our Optimisation Engine and an integrated Autodesk Nastran FEA package. It is therefore able to automatically verify and optimise lattice and skin elements to create an optimised component which exceeds expectations. The video above demonstrates the ability of Autodesk Within to control not only the design of an internal lattice but also the thickness of the part’s walls or skin in a fluid and continuous fashion. The software is then able to optimise the design to meet different load requirements and design targets such as weight reduction.